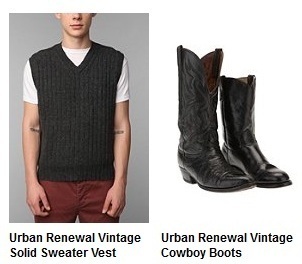 Who knew Urban Outfitters was so political? 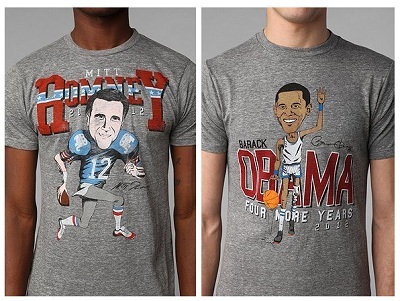 The Philadelphia–based hipster retail chain has a line of presidential candidate T-shirts depicting Mitt Romney playing football (and as an oven mitt) and Barak Obama as a basketball player. Perhaps they’re going for something more subtle. But after more digging, I determined that subtlety is out. Ron Paul, however, is definitely still in. 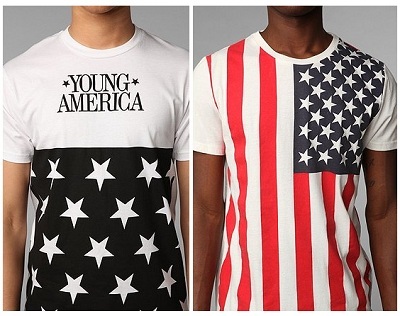 In fact, politics in general, is in, judging from the “Political Party” tee. 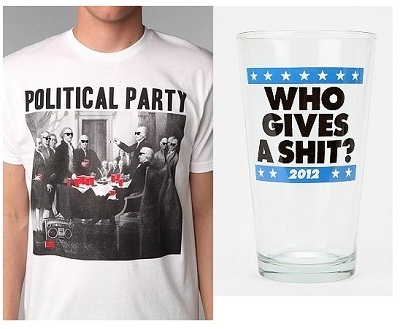 But I think, ultimately, Urban Outfitters summed up its stance with the “Political Pint” glass. ← Jumping Out of an Airplane? Wear This.